Morkel, a regular captain at Centurion over the years, once more wowed the crowd, albeit in different colours, by slamming four fours and five sixes in his 57 not out off 28 balls as the men from KwaZulu-Natal edged a see-saw contest with one ball to spare. But it was all a little too late as the Heat ended a largely underwhelming inaugural MSL T20 campaign with the wooden spoon. Their opponents finished a spot above them in fifth. However, the two bottom sides still managed to produce one of the games of the tournament as 188 for six played 189 for eight. The home side had their skipper AB de Villiers to thank for propelling them to an excellent total on a sluggish pitch after he slammed four sixes and 11 fours in an unbeaten 93 off 52 balls. 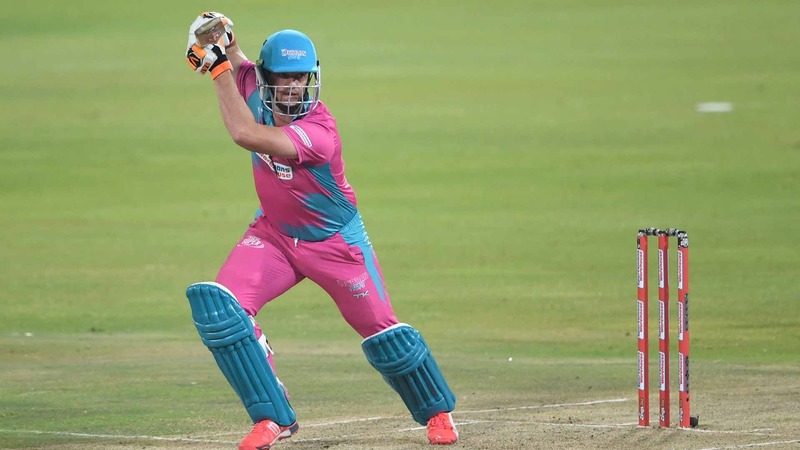 The game look signed and sealed when Morkel walked in to bat on 61 for five – the Tshwane side even looking like they would take a bonus point win – following a dismal top-order meltdown by the Heat. But the captain had other ideas and smashed the bowling all over the park to take Grant Morgan’s side to a sensational win. It capped a thrilling end to the competition for the Durbanites, who boasted arguably best squad on paper, but battled to find any sort of momentum or rhythm. The script also appeared to be going according to their season after the Spartans were handed a strong start by Gihahn Cloete (19), Andrea Agathangelou (18) and Sikandar Raza (19) as they reached 40 for none and then 80 for two by the 12th over. De Villiers shifted gears, and even though it wasn’t his most fluent innings, his 62-run stand with Eoin Morgan (15) brought the impetus to help post a strong 189 victory target. Sare Erwee (30) was the only one of the top five Heat batsmen to settle, but wickets tumbled aplenty as the away side limped to 21 for four. Heinrich Klaasen (36) looked to add some respectability to the total, before Morkel and Keshav Maharaj (23 off 13 balls) climbed into the bowling, and even after the departure of the spinner, the damage was done as the veteran all-rounder clinched a memorable win.